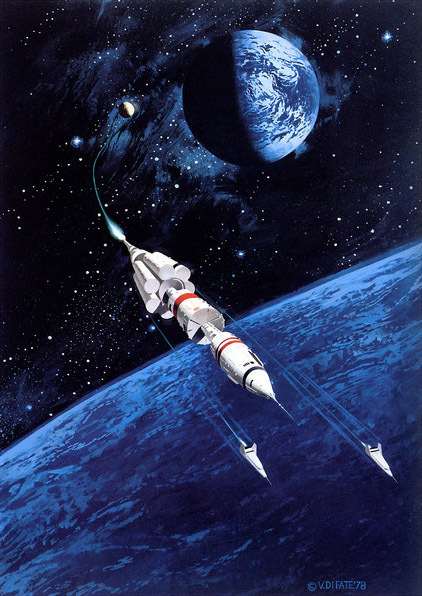 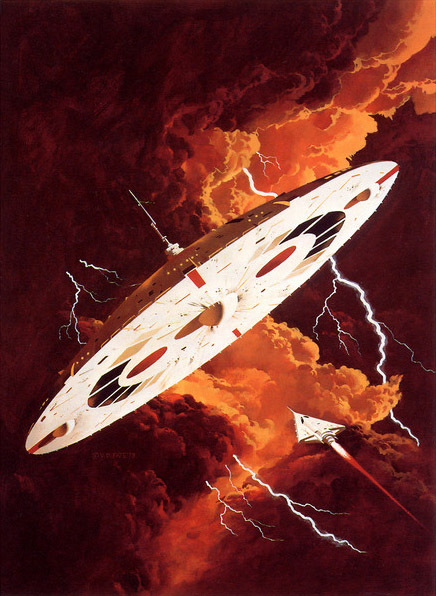 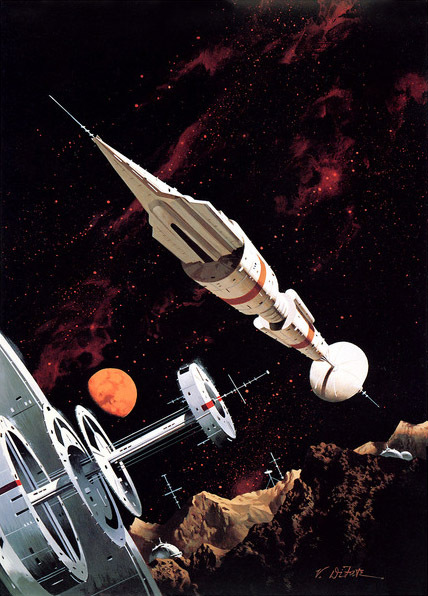 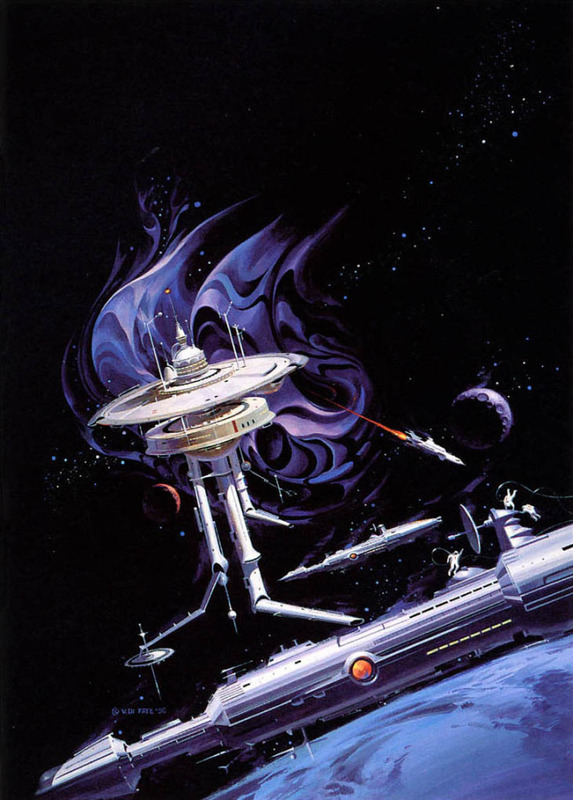 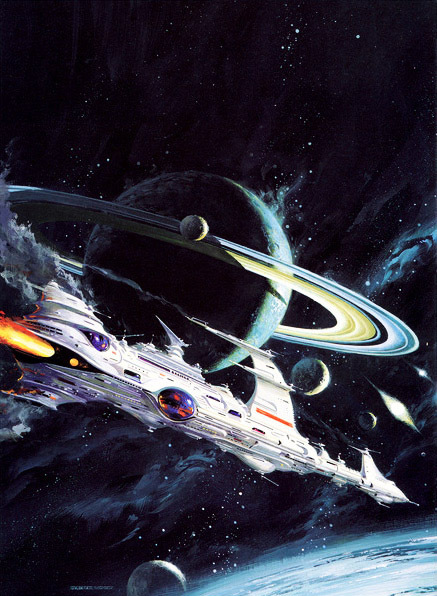 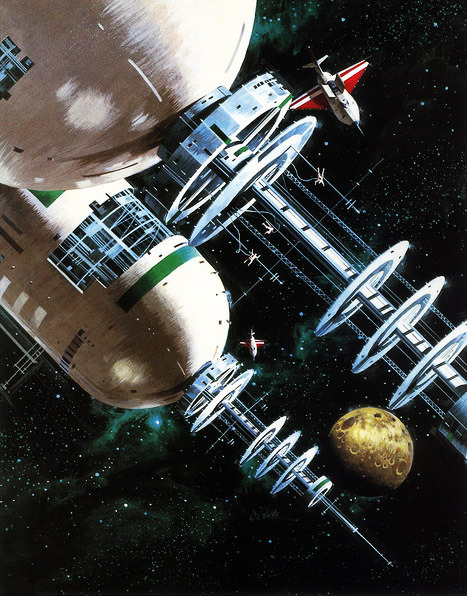 Have a look on Vincent Di Fate's website and have a think about grabbing a print or two of his beautiful artwork. 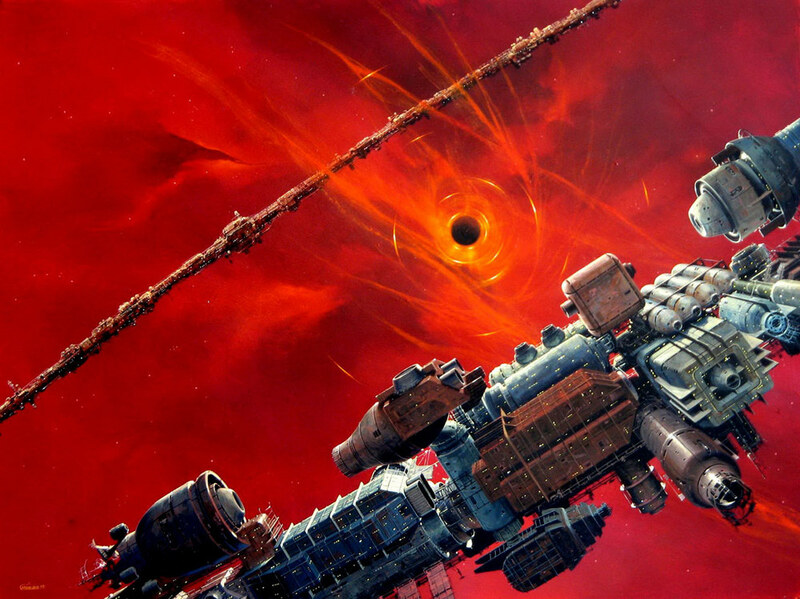 You know it's going to look amazing on your wall. 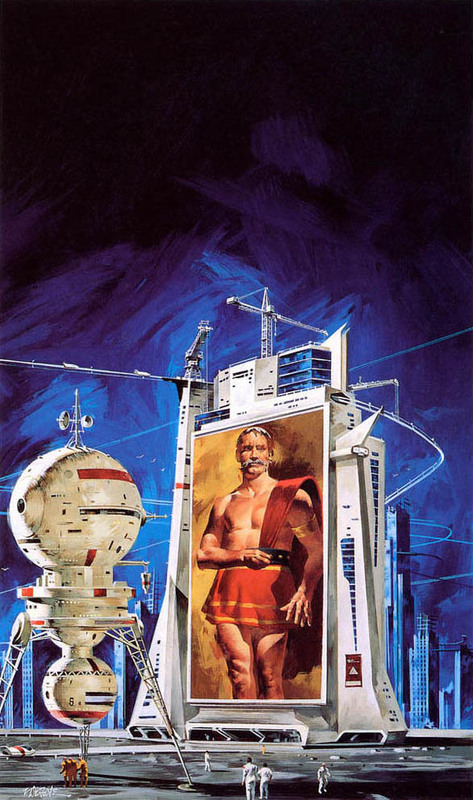 Then stay up all night reading his book Infinite Worlds.